WOW - your new Christmas items are AWESOME! 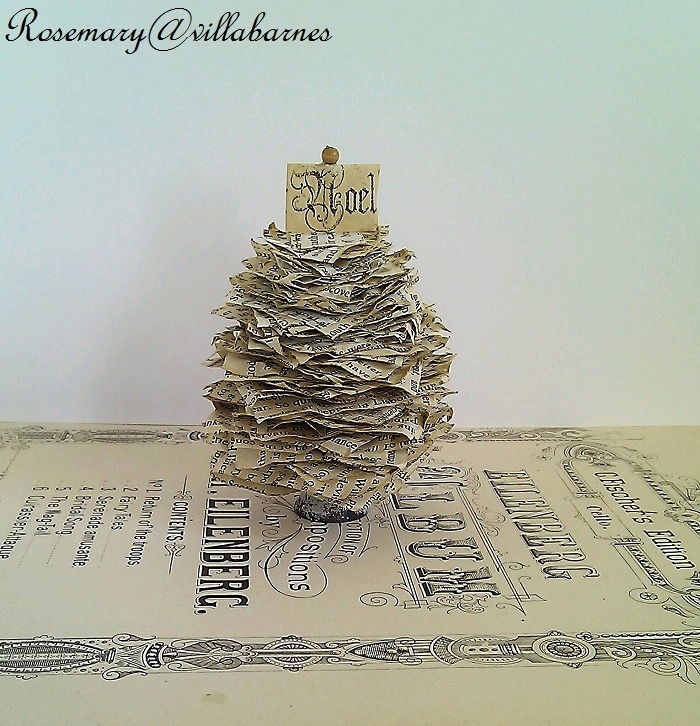 Rosemary your artistic expression in your vintage book page designs has set my heart a flutter and I'm sharing your beautiful creations. Awwww, thanks so much, Lorraine. You have the best ideas and items going. I know you are working your little fingers to the bones. 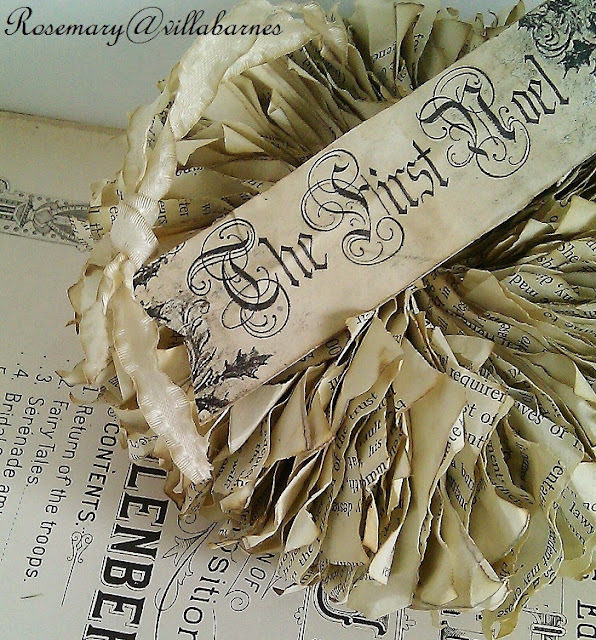 I love my ephemera book page wreath sent from your hands to my home, gifted from Vear and her beautiful heart. It amazes the space it hangs in, and I will be sharing. I have to say it's more than PAPER, it's level of beauty and craftsmanship goes beyond the use of paper.... It's Awww inspiring with rustic elegance. Thank you Rosemary and Vera! Oh, Dore, you have such a way with words. 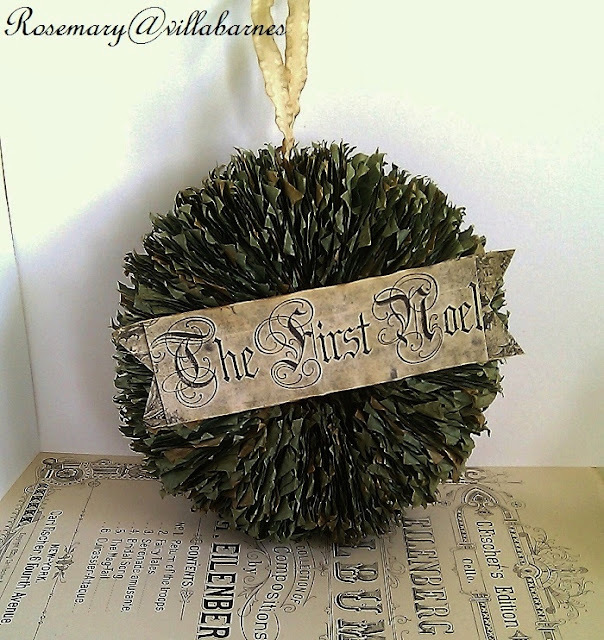 I'm so glad you like the wreath.